01.09.18 11:15;Account;Receive;Received Payment 3.00 USD from account U16366532 to account U1294000. Batch: 226859486. Memo: API Payment. Withdraw to allhyips from bonanza.global. 02.09.18 09:00;Account;Receive;Received Payment 3.00 USD from account U16366532 to account U1294000. Batch: 226942237. Memo: API Payment. Withdraw to allhyips from bonanza.global. 03.09.18 19:35;Account;Receive;Received Payment 1.5 USD from account U16366532 to account U1294000. Batch: 227099405. Memo: API Payment. Withdraw to allhyips from bonanza.global. 03.09.18 11:01;Account;Receive;Received Payment 6.00 USD from account U16366532 to account U1294000. Batch: 227046761. Memo: API Payment. Withdraw to allhyips from bonanza.global. 05.09.18 19:18;Account;Receive;Received Payment 9.00 USD from account U16366532 to account U1294000. Batch: 227335377. Memo: API Payment. Withdraw to allhyips from bonanza.global. 04.09.18 20:58;Account;Receive;Received Payment 3.00 USD from account U16366532 to account U1294000. Batch: 227226510. Memo: API Payment. Withdraw to allhyips from bonanza.global. 07.09.18 11:20;Account;Receive;Received Payment 3.75 USD from account U16366532 to account U1294000. Batch: 227518645. Memo: API Payment. Withdraw to allhyips from bonanza.global. 06.09.18 19:10;Account;Receive;Received Payment 3.00 USD from account U16366532 to account U1294000. Batch: 227454511. Memo: API Payment. Withdraw to allhyips from bonanza.global. 08.09.18 20:09;Account;Receive;Received Payment 3.00 USD from account U16366532 to account U1294000. Batch: 227673858. Memo: API Payment. Withdraw to allhyips from bonanza.global. 08.09.18 10:02;Account;Receive;Received Payment 0.75 USD from account U16366532 to account U1294000. Batch: 227619903. Memo: API Payment. Withdraw to allhyips from bonanza.global. 09.09.18 19:24;Account;Receive;Received Payment 3.00 USD from account U16366532 to account U1294000. Batch: 227766481. Memo: API Payment. Withdraw to allhyips from bonanza.global. 10.09.18 19:58;Account;Receive;Received Payment 3.00 USD from account U16366532 to account U1294000. Batch: 227894719. Memo: API Payment. Withdraw to allhyips from bonanza.global. 11.09.18 19:36;Account;Receive;Received Payment 3.00 USD from account U16366532 to account U1294000. Batch: 228016344. Memo: API Payment. Withdraw to allhyips from bonanza.global. 13.09.18 19:41;Account;Receive;Received Payment 3.00 USD from account U16366532 to account U1294000. Batch: 228259548. Memo: API Payment. Withdraw to allhyips from bonanza.global. 12.09.18 20:22;Account;Receive;Received Payment 3.00 USD from account U16366532 to account U1294000. Batch: 228144776. Memo: API Payment. Withdraw to allhyips from bonanza.global. 14.09.18 19:01;Account;Receive;Received Payment 3.00 USD from account U16366532 to account U1294000. Batch: 228372998. Memo: API Payment. Withdraw to allhyips from bonanza.global. 16.09.18 11:38;Account;Receive;Received Payment 3.00 USD from account U16366532 to account U1294000. Batch: 228539254. Memo: API Payment. Withdraw to allhyips from bonanza.global. 15.09.18 20:40;Account;Receive;Received Payment 3.00 USD from account U16366532 to account U1294000. Batch: 228489427. Memo: API Payment. Withdraw to allhyips from bonanza.global. 17.09.18 20:02;Account;Receive;Received Payment 3.36 USD from account U16366532 to account U1294000. Batch: 228714054. Memo: API Payment. Withdraw to allhyips from bonanza.global. 19.09.18 19:54;Account;Receive;Received Payment 3.00 USD from account U16366532 to account U1294000. Batch: 228968448. Memo: API Payment. Withdraw to allhyips from bonanza.global. 18.09.18 19:17;Account;Receive;Received Payment 3.00 USD from account U16366532 to account U1294000. Batch: 228839182. Memo: API Payment. Withdraw to allhyips from bonanza.global. 20.09.18 20:34;Account;Receive;Received Payment 3.00 USD from account U16366532 to account U1294000. Batch: 229090787. Memo: API Payment. 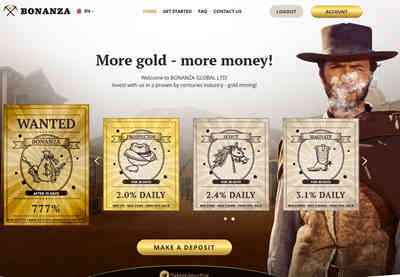 Withdraw to allhyips from bonanza.global.